Approximately 1,000 people attended keynotes, technical sessions, workshops, and STEM showcases during the 2018 ISSR&D Conference. Strategic event sponsorship and participation reached new audiences, recognized key spaceflight R&D players, and resulted in new users. 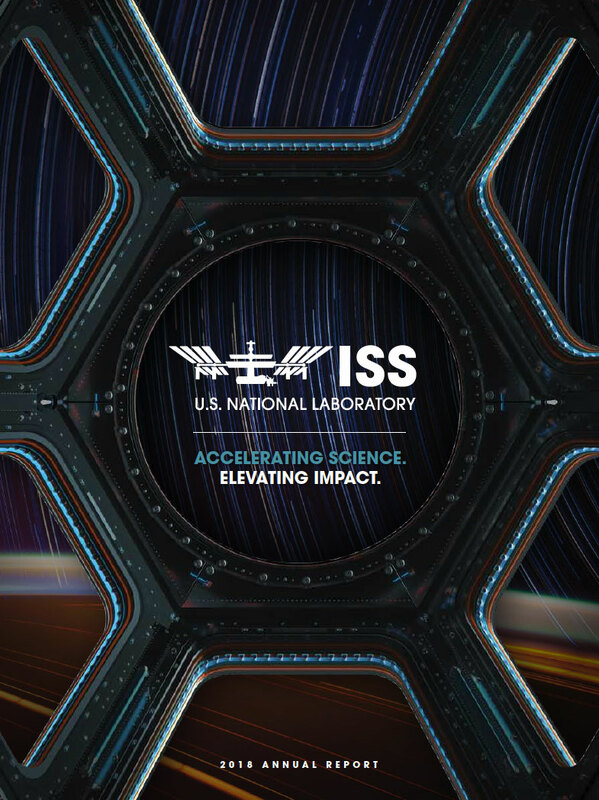 ISS National Lab web traffic increased by 42% over last year, with an 11% increase in time spent per viewer, indicating increased engagement and interest. Nontraditional partnerships with Lucasfilm, Marvel Entertainment, and Seeker allowed ISS National Lab content and activities to reach millions of new viewers. Showcasing the diversity of ISS National Lab activities and success requires equally diverse approaches to engagement and outreach. Below are key highlights from events, digital media outreach, and high-visibility partner activities that helped us reach millions of people with ISS National Lab content this year. 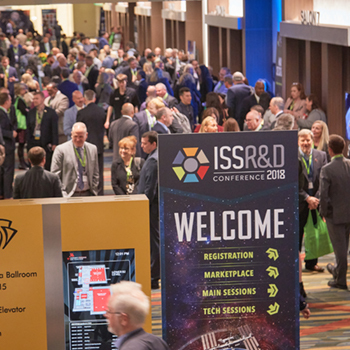 The annual ISSR&D Conference drew nearly 1,000 participants and included dynamic keynote speakers, plenary presentations, technical sessions, new user workshops, an investor session, and other activities. Transformative science leaders explored the future of medical research in space during a panel discussion covering promising research areas, emerging technologies, and current results from ISS research. See http://issnl.us/ar1845 for recordings of this panel and other events. 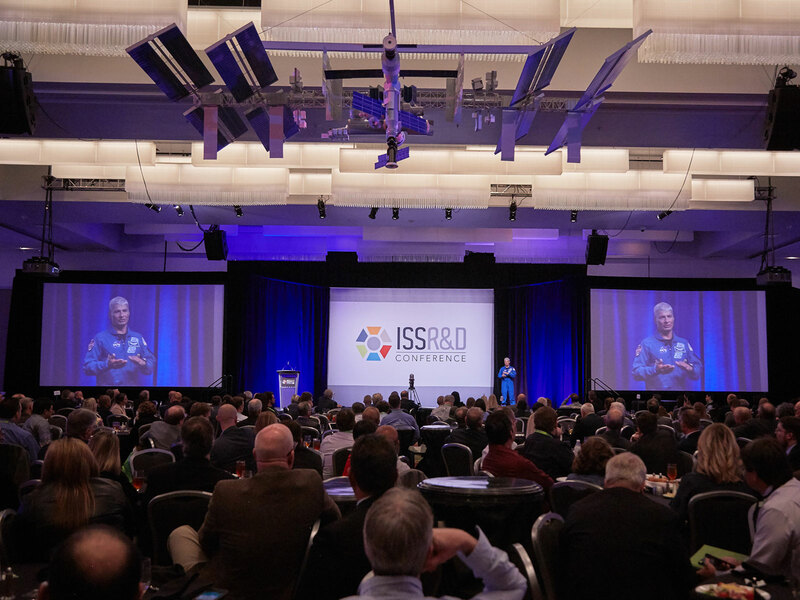 Subject matter expert workshops brought together thought leaders from outside the space industry with space researchers, service providers, and potential ISS National Lab users (see R&D Progress and Objectives). STEM Day at the conference highlighted Space Station Explorers consortium resources and activities of interest to students, parents, and educators. Students sponsored through programs such as the Space Crystal Prize and Genes in Space competitions spoke about their experiences conducting space-based research. A focal point of the day was a live video downlink with crew members onboard the ISS and student presenters. In January, the Board of Directors and executive leadership held the annual ISS National Lab Public Board Meeting. The event was available via live-stream and provided stakeholders, media, and interested members of the space community with an overview of recent successes and future opportunities, illustrating the tangible progress made toward full utilization of the ISS. For more information, see http://issnl.us/ar1846. This annual convention that attracts leaders from around the world in the biotechnology and pharmaceutical industries had an attendance of more than 16,000 people from 74 countries. At the convention, we hosted a panel featuring representatives from biotech companies that are leveraging the research capabilities of the ISS National Lab. Since 2012, we have met with multiple researchers and companies at this event, resulting in partnerships such as a project with 490 BioTech (cancer drug research) and an agreement with current commercial service provider and future in-orbit facility operator HNu Photonics. We presented four “Pioneer Awards” at this year’s BIO International Convention to Eli Lilly & Company, Merck & Co., Novartis, and Amgen. These and many other companies are raising awareness of ISS National Lab activities that are returning critical value back to the nation through their cutting-edge research in space. 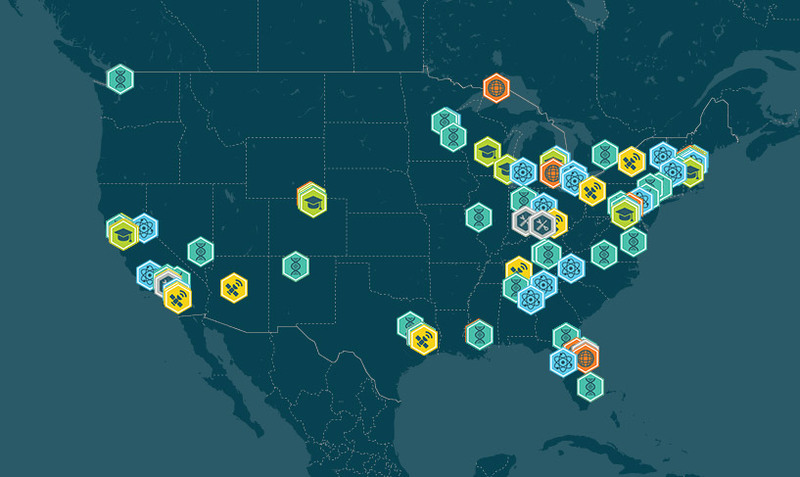 Yearly, we team up with NASA to visit multiple U.S. cities as part of Destination Station, a free event through which the public engages with astronauts and scientists. This event also provides an opportunity for us to collaboratively engage with NASA and science thought leaders from well-known companies and organizations—examples from FY18 include PepsiCo, the Centers for Disease Control and Prevention, Coca Cola, and two organizations that have recently been selected for ISS National Lab projects: IBM Watson and the Colgate-Palmolive Company. Eli Lilly & Co., Delta Faucet Company, and Target Corp. are example ISS National Lab partnerships that stemmed from Destination Station events. The 2018 USA Science and Engineering Festival, the nation’s largest science festival, provided our Space Station Explorers consortium with a highly visible public engagement forum. We hosted a stage show and organized an informative panel in collaboration with Nickelodeon (hosted by Alex Hook, the star of Nickelodeon’s hit TV show “I Am Frankie”) to feature ISS National Lab student scientists. Increased viewership of ISS National Lab content is critical for informing and engaging new users, partners, and investors. The ISS National Lab digital presence, anchored by our website and social media channels, is designed to raise awareness about research opportunities and activities on the ISS National Lab, highlighting the value of the lab and the success of its users. Through new collaborations, third-party content based on ISS National Lab activities is providing additional amplification of original content via new platforms, and we are reaching new audiences through various digital channels. To take full advantage of this growth, we have deepened our content strategy to include daily postings on our ISS360 blog (http://issnl.us/ar1847), which highlights research being conducted on the ISS National Lab and drives viewers to more in-depth information on ISS National Lab opportunities. This strategy directly contributed to a 42% increase in traffic to the ISS National Lab website this year from various acquisition channels including organic search, direct traffic, social media, and referral traffic (e.g., third-party websites aside from search engines). Alongside this sustained increase in web traffic, there was an 11% increase in the average time spent on the website, which directly correlates to the content strategy focused on owned digital channels. Following our collaboration with Lucasfilm on the 2017 ISS National Lab mission patch, the ISS National Lab was featured in Lucasfilm’s web series “Science and Star Wars,” designed in collaboration with IBM to engage the public on the science associated with the Star Wars universe. Together with Marvel Entertainment, we announced and awarded the Guardians of the Galaxy Space Station Challenge—a nationwide spaceflight research competition for students. Two winning investigations focused on studying aeroponic farming and analyzing the effectiveness of a dental glue launched to the ISS in December 2018. Popular science content publisher Seeker is working with us to highlight research conducted on the ISS National Lab through its new digital channel, Seeker Universe, which launched in May 2018. Multiple videos highlighting ISS National Lab facilities and research investigations have reached millions of viewers through Seeker’s many social media platforms. In addition, Seeker is featuring our content on their website, podcasts, and other channels to connect their subscribers with the excitement of ISS National Lab R&D. The Guardians of the Galaxy Space Station Challenge was developed following Marvel’s previous collaboration on the 2016 ISS National Lab mission patch and was complemented by a “Science of Marvel” web series that garnered hundreds of thousands of views.